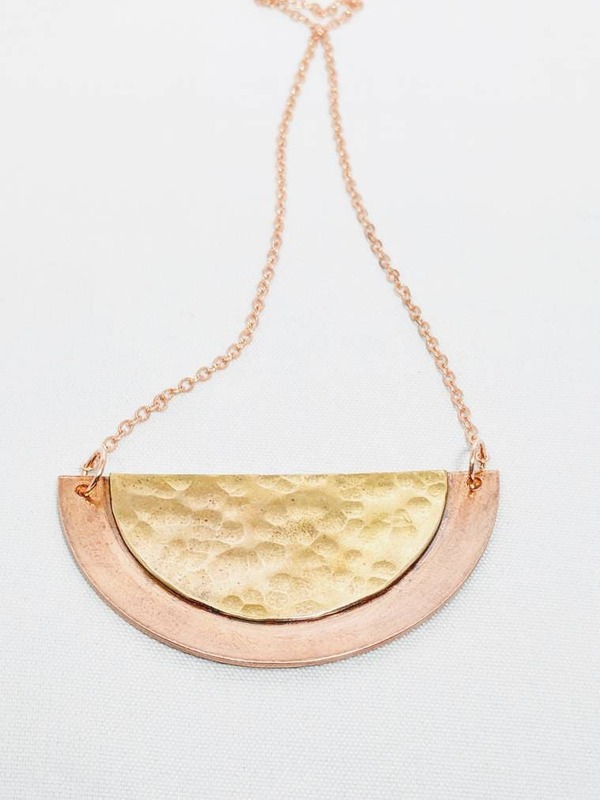 This two inch moon features a copper back soldered to a hammered brass front. 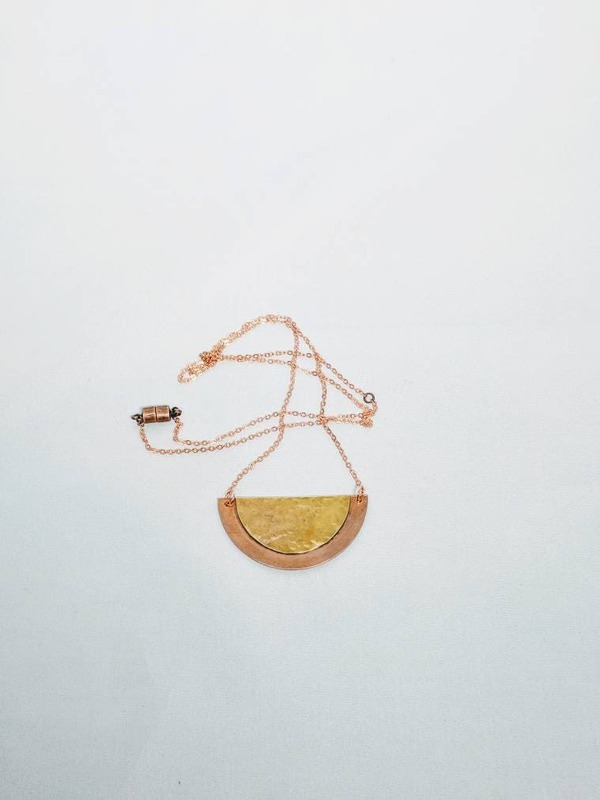 The half moon shape is perfectly accented by the mixed metals and textures. Finished with 24" copper chain.